I am very excited to be returning to The Secret Recipe Club. We took a month off in January, it was nice to get a break after all the holiday hustle and bustle. It is however, nice to get back on schedule. I was assigned a great blog called Apron Strings. They are a reunited birth mother and daughter food blogging team. They also have several cookbooks under their belt. The recipe Caprese Parfait was excellent. I did nothing to alter the recipe. It stood out by itself. If you use fresh ingredients, it will make a superb dish. I cant wait for summer to try this again. This time I will use the fresh tomatoes from my garden. 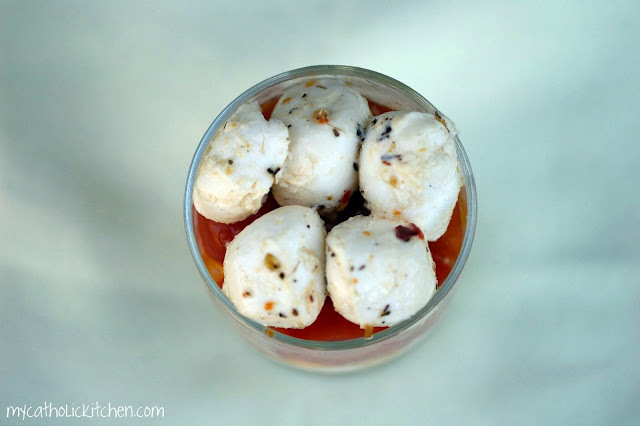 Their blog has wonderful photos, with tons of fabulous recipes. I printed several recipes to try later. 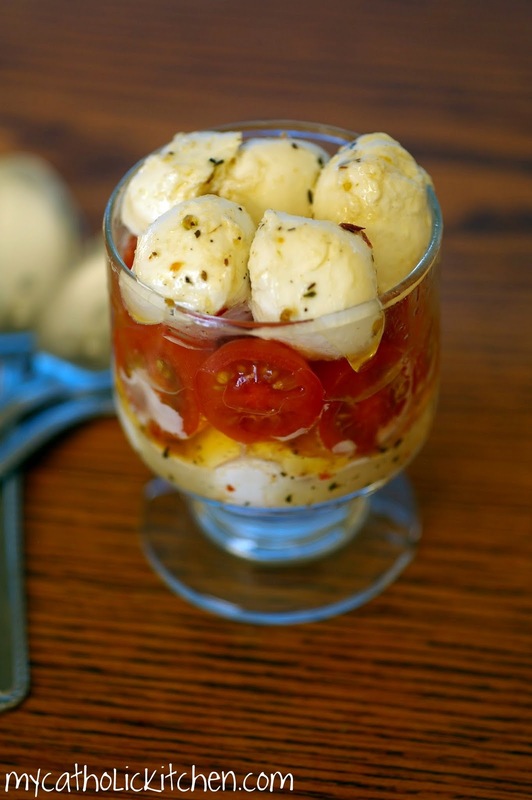 The Caprese Parfait makes me yearn for summer. So if you are interested, contact The Secret Recipe Club to get all the details. 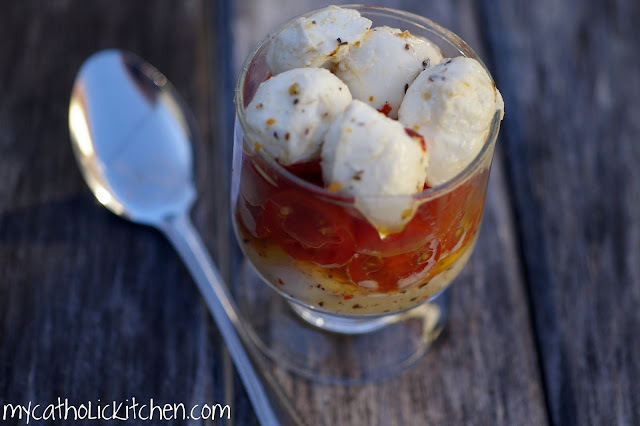 Great idea to change up the typical Caprese salad! I can’t wiat for summer and fresh tomatoes either! 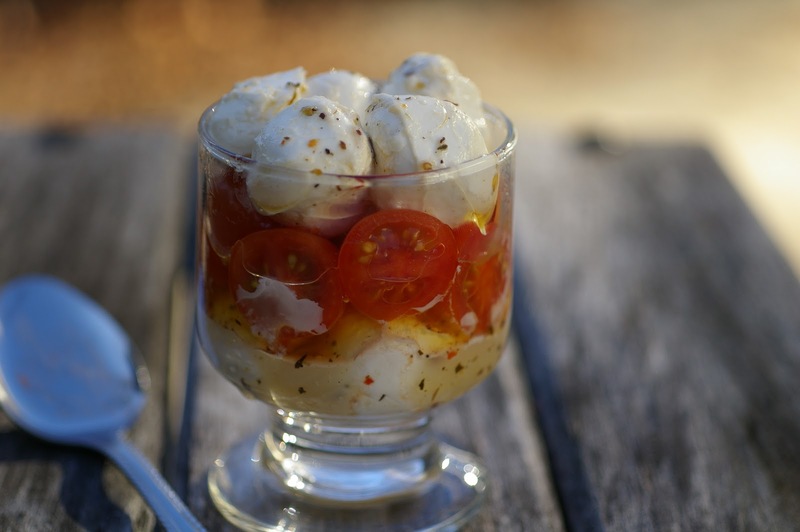 This caprese will be on the list to make for sure. look delicious Veronica, look really nice! What an inventive idea! I think it is genius. Serioulsy, what a great dish! How fabulous will this be this summer with fresh, vine-ripened tomatoes????? Great recipe pick for SRC! Anything Caprese gets my vote, Just looking at this is sending me out into the February night for basil, tomatoes and fresh mozzarella! How fun! It has “summer BBQ” written all over it. 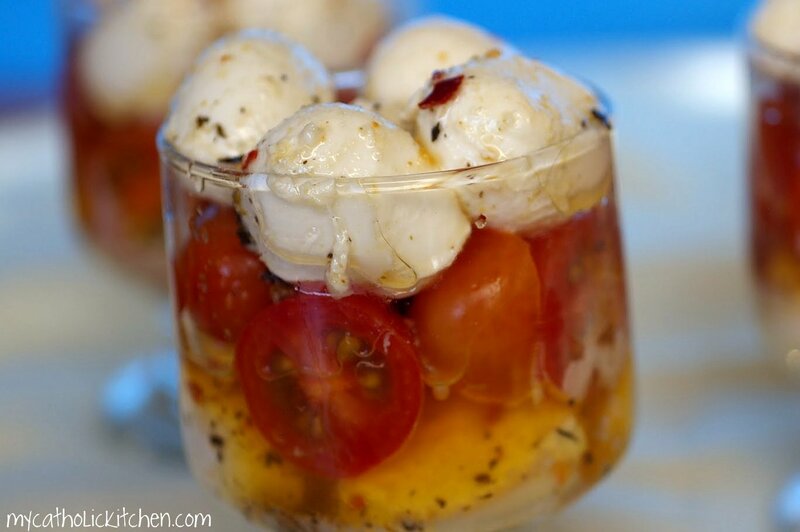 Caprese salad is one of my favorites! What a beautiful presentation. holy hanna! this little diddy is friggin adorable and – like you said – i’m gonna bookmark it for summer tomatoes 🙂 happy src reveal from a group D member! Definitely an awesome recipe! I would love to serve those as an appy! Thanks again for the award, I made sure people saw this recipe!